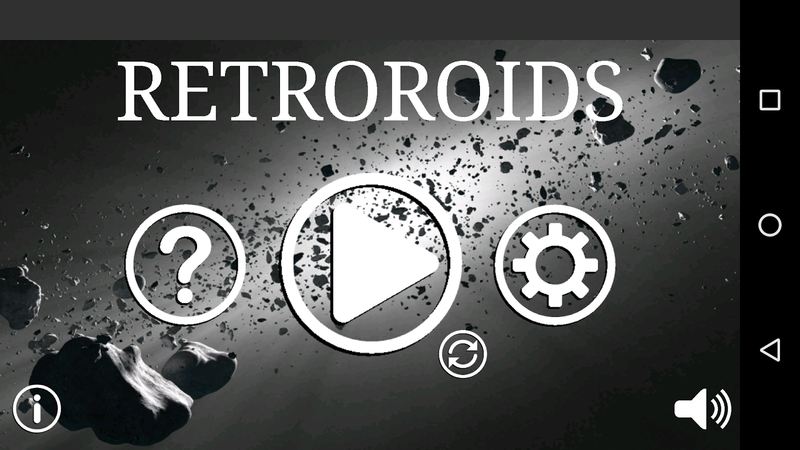 RetroRoids is an arcade style 360 degree shooter. Try and destroyas many waves of asteroids and aliens as possible without lettingyour ship get hit! 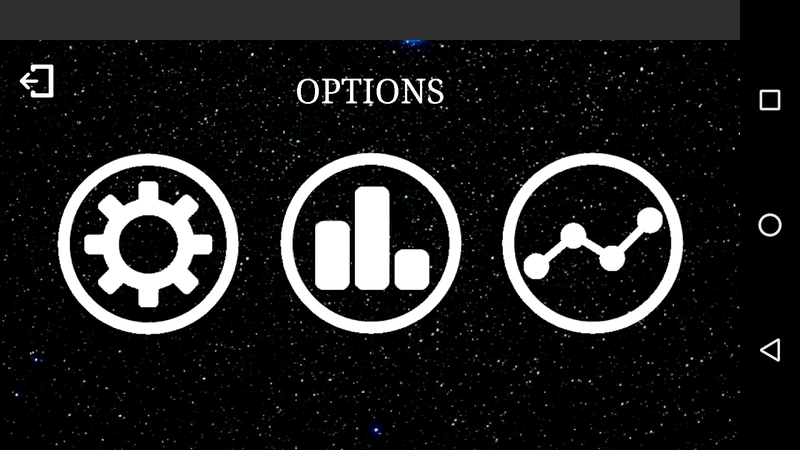 Options are available for faster or slowerasteroids, whether or not the aliens are in play, and even themovement style of your ship. Try to out shoot the aliens andsurvive as long as you can! Frog Hop is a survival game wherein you must hop the frog acrossthe board while avoiding a multitude of dangers. Weave your waythrough traffic while avoiding cars, trucks, and dragsters, thenuse logs, turtles, and crocodiles to make your way across the riverwithout being swept away! Still not enough challenge? Try saving alady frog along the way for bonus points. Do you have what it takesto get all five frogs home safely? Guardian is a unique twist on the classic mechanics with a newunique concept. You defend your core base with your paddle and easyswipe controls to bounce the color ball z away. This is a greatchild color game where you use your reflexes and quick movement tomove your paddle to deflect falling balls. Survive the vortex ofcolor balls being blasted at you over time, and eventually theybecome really difficult. These balls are definitely crazy ballsbecause they have crazy mechanics coming at you from all differentdirections in this quick color game! If you collect the powerups,your gain more paddles that act like a color brick to color bouncethe balls away. How long can you survive the color blast? Will youovercome this crazy ball race and ball jump game? Creature Clobber is an arcade game where you try to dodge enemiescollect coins and get a high score. Move your character and try toavoid creatures . Catch coins to get bonus points and use the radarsystem to see where the enemies are going to land. Achieve a highscore by surviving as long as possible. Major Rocks: The second release from Super Good Pixel(Started by aformer Konami Art-Director), is also our first release in our RETROARCADE line of games.This is our love letter to 80's arcade spaceshooters. We are creating our own versions of re-imagined Arcadegames for the modern age, while holding onto the classic game-playloved by so many.We hope you can enjoy these games as much as wedid making them.In Major Rocks you control a SGP-Space fighterwho's sole purpose is to clear out sectors to make them safe again.The enemy is warping in Zombie Mines that must be destroyed beforeyou fuel rules out. In addition to mines, you have to deal withalien intruders and stray asteroids that have entered thesector!Don't let this angry enemy crush your clan of space heroes!Fight back with your space fighter and write your own hero sagafrom here on out! This is more than a game of war, its a game ofsurvival!The game difficultly may be considered HARD to some, butif you keep playing you will improve as you learn what to do.Remember to not always be shooting, sometimes you just need to getto someplace safe. *Update 1.0.7: Added ability to play the game in"EASY" mode. This mode was added for those users who were gettingcrushed by "NORMAL" mode.This game SUPPORTS GAMEPADS:*NVDIASHIELD:: "NVIDIA Corporation NVIDIA Controller v01" -(TESTED ONSHIELD)*Nyko PLAYPAD PRO:: "Broadcom Bluetooth HID" *-(NOT TESTEDYET)This version of the game is free and is supported by ads.Youcan use the in-app purchase feature to upgrade your game to thefull version at any time. The full version will upgrade your gamein the following manner:-Removes Ads and Ad bar across the top ofthe screen-Adds many additional levels to play, which can not beplayed using the free version.-Adds an additional player life onnew game start.-You get full fuel on a level start, instead ofalmost full-Boss and Maze Boss Levels added (Skull Boss, and CastleBoss)-Score Multiplier activated (earn more points- get extra livesfaster)-Game doesn't end early (Free game has limited levels)-Addability to BUY and USE game boosts. (Extra Lives/Shields/AlternateFire/Extra Stars)-You support the development of more features forthis game when you buy the upgrade. If we get enough support we canwork on more levels, more modes, or just more stuff!-Finally youallow us to make more games like this one. (Thanks)If you like thegame please consider leaving us a good review. If you have problemswith the game, please consider writing us an email so we can have achance at fixing the issues you may have.Our Retro Arcade line isdesigned to give you fast paced action arcade games.If you loveretro classic arcade games such as Galaxian , Galaga , SpaceInvaders , PacMan , Defender , Berzerk , Frogger , Contra , then weare sure you will love our ARCADE SERIES of games. We hope tocontinue the line soon! With your support we can make ithappen!Please support us and other indies by downloading our games.Just doing that helps! :) Thanks! We hope you enjoy! Destroy all asteroids ...Blast all saucers ...Neutralise thesentries ...Defeat The Marauder!FEATURES+ Glorious Retro VectorGraphics+ 7 Power-ups+ Boss Fights+ 80's Inspired Soundtrack+Game-pad Support+ Multiple Control Options+ nVidia Shield Support+Fluid Arcade Action+ No In-game Ads+ Global & LocalLeader-boards+ It's Free!STORYOn returning from testing the HyperJump functionality of your prototype fighter, you discover thatyour planet has been blown to pieces by the Marauder. 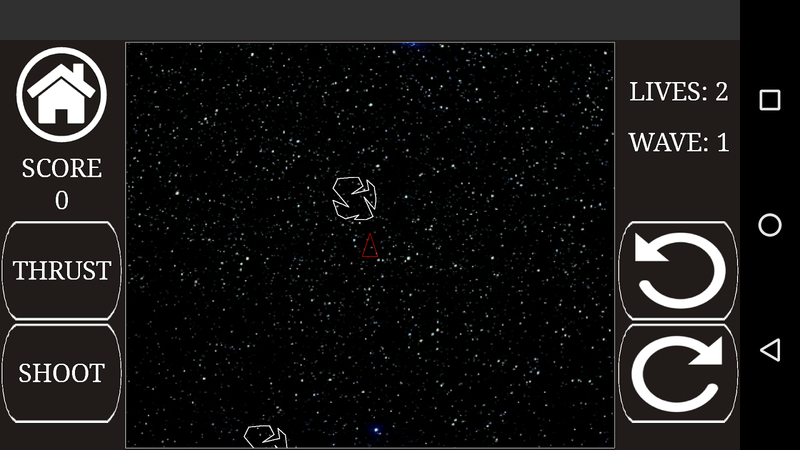 With nothingleft to live for, you decide to jump the 20 light years to destroythe Marauders home planet of Irata. Your space ship can only jump 1light year at a time so you will face 20 waves of asteroid strewnspace wastes and the star forces of the marauder. However, fearnot, your prototype fighter has been designed to be upgraded so youcan unlock and pick up power-ups. Better yet you can stringmultiple power-ups together for devastating fire power.